collection), because of its outstanding acoustics, often showing up amidst a summer swelter fully clad in a fur coat, hat, scarf, and gloves. Nearing the age of 30, Gould retired from public performance, retreating to his hometown. 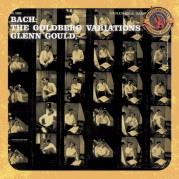 The maestro made over 60 recordings for CBS Masterworks/Sony Classical. 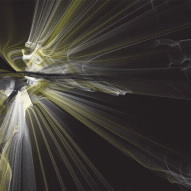 , is the perfect introduction to his enchanted works. Amadou Bagayoko and Mariam Doumbia are the extraordinary sonic duo from Mali, West Africa. In the early '70s, while at the Institute for Young Blind People in Bamako, Mali's capital, the two met and fell in love and have been making music ever since. They married in 1980 and started on their professional road. 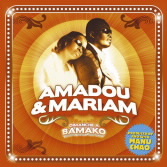 Amadou & Mariam create an infusion of folk, world, reggae, and Afro-Cuban flavors. Collaborations include Manu Chao. Their 2005 album Dimanche à Bamako hit the top of the French charts, going gold and winning Les Victoires de la Musique (the French Grammy equivalent). This collection has mystic beauty; check out the title "Gnidjougouya." Jazz singer Etta Jones, born in 1928 in Aiken, South Carolina, and raised in Harlem from the age of 3, was blessed with a voice that carried a crystalline undercurrent. With a career spanning nearly five decades, Jones remained a commercial underdog, often overlooked in favor of other limelighted soloists of her time. Her collaborations include Buddy Johnson, Leonard Feather, Earl "Fatha" Hines, and (for nearly 30 years) Houston Person. A three-time Grammy nominee, Jones passed away in 2001 on the release day of her last recording, Etta Jones Sings Lady Day. Jones was posthumously inducted into the Grammy Hall of Fame in 2008 with her 1960 gold Prestige album Don't Go to Strangers. 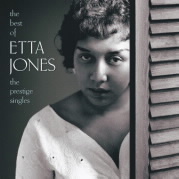 Remember this deserving diva with "Nature Boy," from the 1962 recording off The Best of Etta Jones: The Prestige Singles (Remastered) collection. 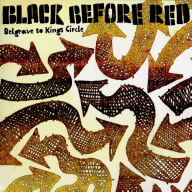 Black Before Red is the Austin, Texas-based quirky and harmonious quintette of Marc Ferrino, Kevin Schneider, Brian Cassidy, Brent Baldwin, and Marc Dickey. These mod-influenced Americana rockers have that hooky press-rewind way about them. Their title "Matagorda," from the 2007 release Belgrave to Kings Circle, has an undertow of melodious hope. Brooklyn-based musician and producer Juano Lippi was born with some wizardry inside: Divinity meets the Devil. A former member of the jam band Karmic, Lippi does everything, from the writing to the vocals, all guitars, percussion, keyboards, and bass. His lineup includes Rik Mercaldi (lap steel, electric guitar, vocals), Ryan Cavan (drums), Bruce Macpherson (piano), and Noah Wheeler (bass). 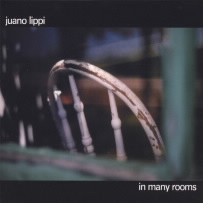 The title "All the Way Home," from Lippi's 2008 release In Many Rooms, shows a fast-handed and versatile new guy in town.